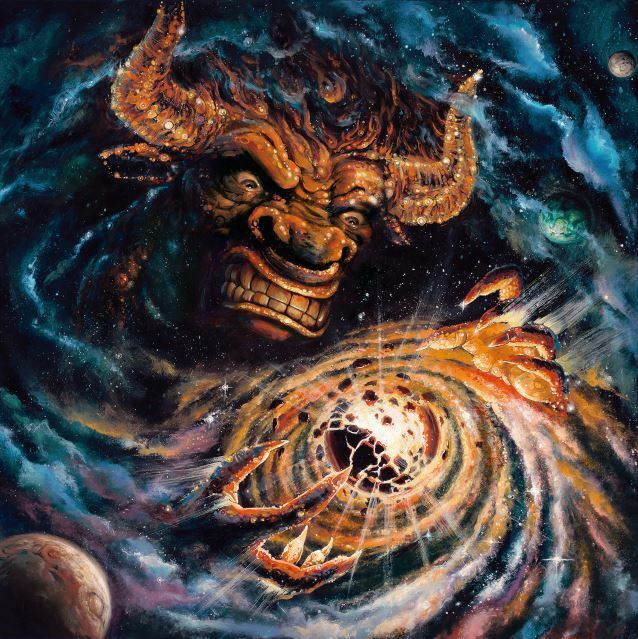 2013 saw the release of MONSTER MAGNET's latest album, "Last Patrol". Now comes "Milking The Stars: A Reimagining Of Last Patrol", due on November 18 via Napalm Records. 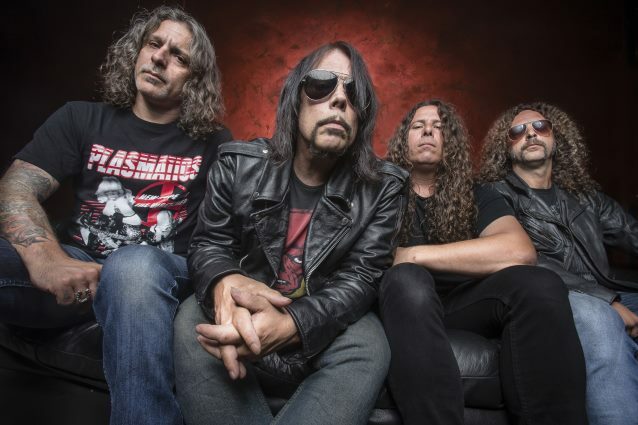 Met with critical acclaim and supported by a world tour, "Last Patrol" has become a staple in the MONSTER MAGNET discography. Today the artwork, track listing and first song from "Milking The Stars" have been released. MONSTER MAGNET mainman Dave Wyndorf's pick for the first track he wanted fans to be exposed to is "No Paradise For Me". The song, according to Wyndorf, is "interesting, fucked up and old-school sounding." Check it out below. Says Wyndorf about "Milking The Stars": "'Milking The Stars' is a 'reimagined' version of 'Last Patrol' featuring four new songs and live tracks. "This was a happy experiment for me. It's not a remix record by the current definition. It's more like 'Last Patrol' in a 'what-if? '-style alternate reality. "'What if these songs were recorded in 1968?' 'What would happen if I turned a pretty song into an angry one?' 'How would adding creepy organs and Mellotrons affect the emotional vibe of a song?' These are just a few of the questions that roll around in my head when I write and record any album but this time I decided to actually answer them with fully fleshed out, recorded and mixed examples. "The process actually created new songs. That's the icing on the cake for me. New sounds, new vocals, different instruments and arrangements make for a weird 1960's vibe totally apart from 'Last Patrol' which was fun for Phil, Bob, Garrett, mixer Joe Barresi and myself to explore. "Finally there's expanded versions of the songs 'Last Patrol' and 'Three Kingfishers' as recorded live at the AB club in Belgium, 2014. Both those songs were re-arranged for 'maximum rock and psych' before we hit the road last year and feature the debut performance of new MAGNET bassist, Chris Kosnik. Personally, I think they beat the original versions."